Two more Kalyanji Anandji EPs; nice ones to boot. 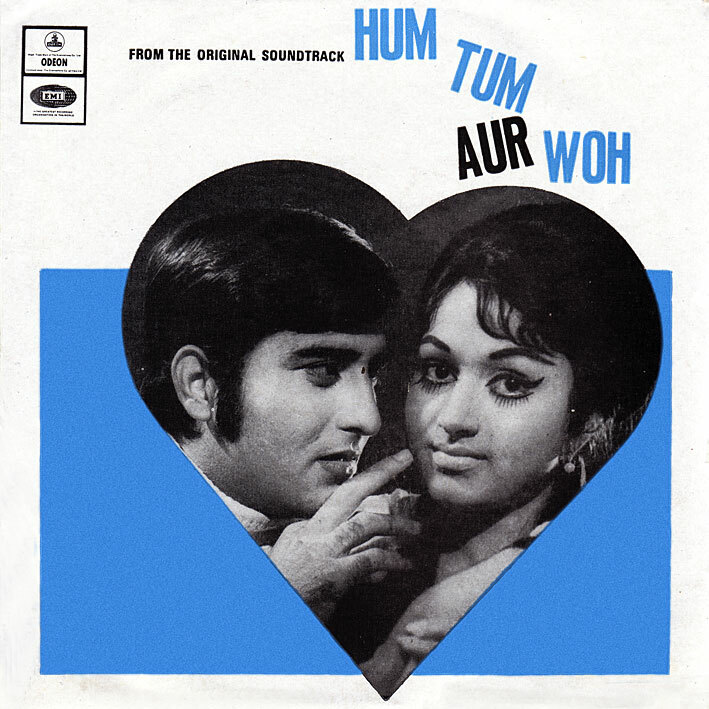 'Hum Tum Aur Woh' includes 'Tu Milale Aaj Nigahen' and 'Husn Agar Zid Pe Aa Jae', uptempo songs that, while not spectacular, both have a good feel to them. 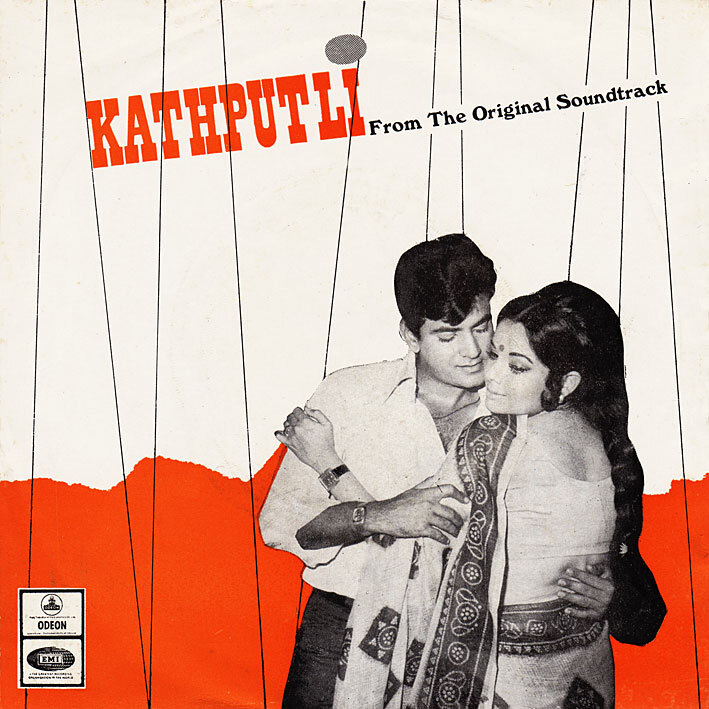 'Kathputli' (my preferred of the two) is highlighted by the lovely 'Tum Jo Hansage Duniya Hansegi' and Asha's cabaret number (or so I'd imagine; I've not seen the film) 'Jeena Kaisa Pyar Bina'. I have the impression that both films are quite obscure and hard to find, and that these EPs may be all that was released from their soundtracks. Feel free to correct me if I'm wrong though. hey. thanks as always. out of curiosity, how many have you posted so far? yours is the only blog that i have got everything from!!! Wow, that's amazing :-) These two EPs are nos. 157 and 158 respectively, always identifiable by the last 3 digits of the names of the download files. Youtube always leaves out MY favorite song from a film too even if the rest of them are up there. Excellent PC ! Too good! right, duh, i forgot about that! i think i was lucky enough to discover this really early on. thank you again!